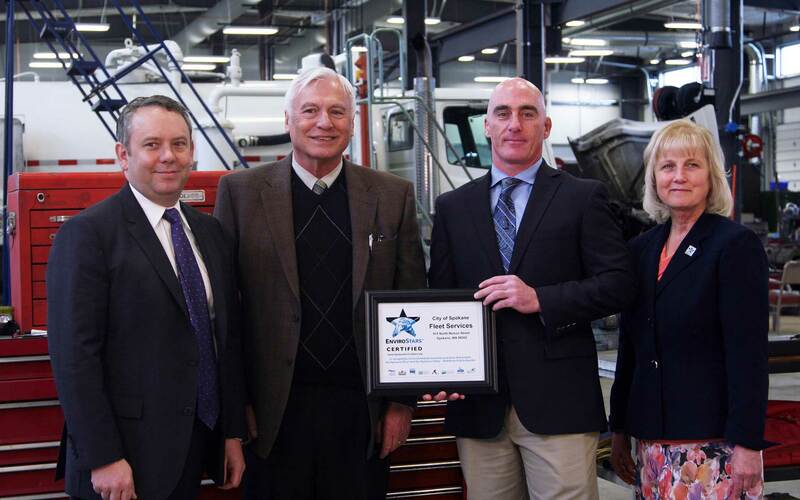 Monday, February 22, 2016 at 4:16 p.m.
We are proud to announce that our Fleet Services Department has been recognized as an EnviroStar for its work to protect the environment by properly managing and reducing hazardous materials and waste. We have received the 5-Star certification, which is the highest certification level possible in the program. What's more, our Fleet Services Department is the first non-business organization to receive EnviroStar's certification. 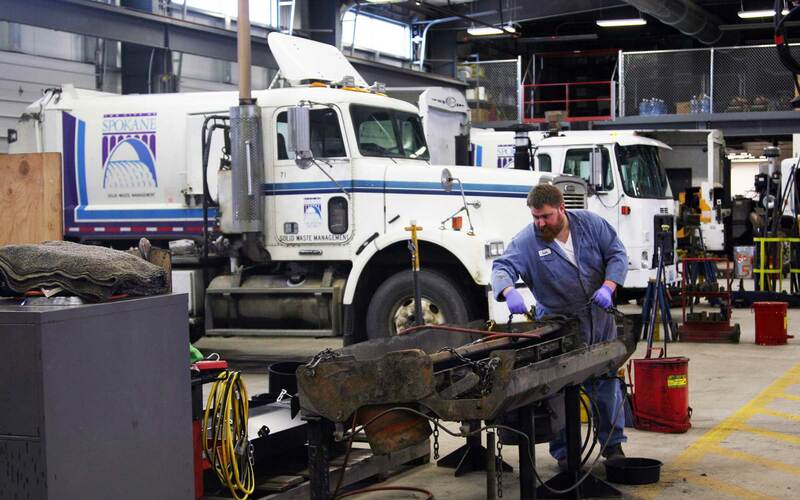 To receive the designation, Fleet Services needed to demonstrate proper management of oil and chemicals used to repair and service the City's fleet of vehicles. The award is a result of the City's dedication to being financially and environmentally responsible. 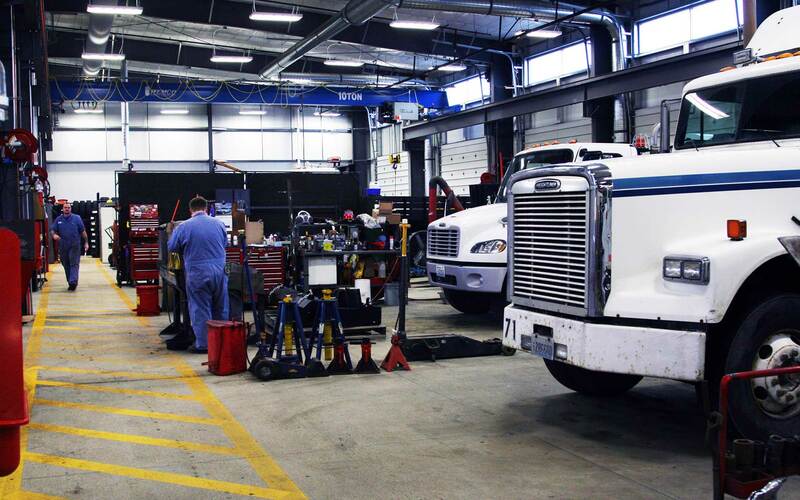 Fleet Services is responsible for maintaining a fleet of about 1,500 vehicles, including police cars, solid waste trucks, dump trucks, and a variety of specialized heavy equipment. Improving the way we handle any waste while that fleet is serviced and maintained protects our drinking water and helps us get to a cleaner river faster. At the City, we hope our commitment to protecting the environment will resonate with our citizens and with those who will move to our visit our community. It is also our goal to be an example for other organizations and businesses.